The Earth MedicineTM range of formulas offers the most advanced phytotherapy solutions available for your dog. Earth MedicineTM Formulas are individually created based on ancient herbal principles, scientific evidence and extensive clinical knowledge. The Earth MedicineTM Formulas are not comparable to any other herbal remedies available and their development is based on many years of clinical experience and scientific research in safe and effective herbal medicines for animals. The Earth MedicineTM Formulas are high quality, liquid herbal complexes that offer effective solutions for a wide range of health problems in dogs. Each formula is individually made for your dog and their unique problems. They can be used on their own or in conjunction with veterinary medicines, under professional guidance. The Earth MedicineTM Formulas are not available elsewhere and are unique as they contain the highest-grade medicinal herbs available in Australia and they are not preserved in alcohol*. We only use medical grade herbs in our formulas and each blend is hand made in our clinic so you can be sure that our medicines are some of the purest and most effective herbal formulas available for your dog. *Most liquid herbal medicines are preserved in alcohol (and can often contain very high levels) which can be detrimental to the health of dogs. The Earth MedicineTM Formulas do not contain any alcohol. The formulas are high-quality, medical-grade, herbal medicines for dogs. They do not contain harmful additives such as glycerine, alcohol, refined sugars, artificial sweeteners, flavours or preservatives. The formulas are pleasant tasting and gut friendly. They are cost effective due to their high potency & bio-absorption. Each formula is hand blended for your unique dog. The formulas are made fresh from our clinic using the purest raw herbal ingredients produced from a fully licensed, TGA- approved, Australian manufacturing plant. They are safe for use in dogs of all ages from puppies through to the elderly. The Earth MedicineTM Formulas are available in 200ml and 500ml glass bottles. We prefer to store medicinal liquid herbs in glass rather than plastic for maximum therapeutic benefits. The Liquid Formulas are easily absorbed and utilized by the body, therefore, large dosages are not required and dogs usually find liquid formulas easier to take. 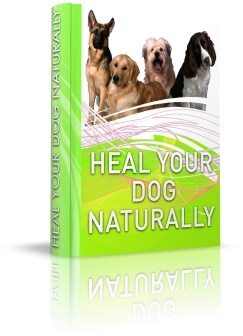 Many dog symptoms and dog disorders can be resolved using these safe and effective formulas. The formulas are developed by Sar Rooney BHSc., ND., DC, DASc., GDSc. (Hons) Zoology, who is a well-qualified Naturopathic Physician, Health Scientist, Medical Herbalist and Canine Naturopath. Sar has a background in scientific research in the area of herbal medicines and nutrient therapies in companion animals and she was also a Senior Lecturer in Herbal Medicine and has over 20 years of clinical experience. Sar now focuses on canine naturopathic medicine especially skin problems in dogs, including hot spots, allergies, yeast infections and bacterial infections, inflamed bowel disorders, anxiety, digestive problems and canine arthritis. We develop formulas based on individual prescriptions. Costs vary depending on the individual prescription and range from $53.00 to $56.00 per 100ml bottle to $96.00 to $99.00 per 200ml bottle. For the safety of animals, the herbal medicines, nutrient supplements, homoeopathic remedies and other treatments we prescribe are all high-quality, human-grade products that are not available ‘off the shelf’ from pet stores, health food stores, pharmacies or other retail outlets. We feel strongly that the treatments we prescribe are the some of the safest, advanced and most effective naturopathic medicines available. The treatments will be made easily accessible to you via the internet, phone or mail ordering, once you have completed an online health assessment for your pet. Animal-grade products are subjected to different regulatory processes compared to human-grade products and do not have to meet the same stringent requirements. Our herbal medicines do not contain alcohol. Alcohol is a toxin for animals and should not be included in medicines. Cheap fillers that are often used to save manufacturers money such as talcum powder, shellac, unstable oils, etc (all known carcinogens). Dangerous heavy metals such as mercury, cadmium and aluminium that are commonly found in other companies herbal and fish oil products. Toxic pesticide residues, as the products we prescribe use organic growers for their herbal products and also test their herbal extracts to ensure they are free from contaminants. The naturopathic remedies we recommend for dogs have very powerful biochemical activity, high absorption rates and extremely effective ratios of nutrients and plant extracts to deliver optimum therapeutic results in pets. The manufacturing processes used by the companies we rely on are some of the best in the world. When manufacturing herbal and nutrient supplements, they avoid the use of excess heat, moisture & compaction – which can reduce the biological activity of many nutrients and herbs and they only use natural, non-reactive vegetable gums and cellulose. Unlike many manufacturers, they do not use the common reactive binders, fillers and synthetic additives which can be unsafe and can cause adverse reactions and side effects in pets. Sar has had many years of clinical experience with the range of treatments she prescribes and therefore, is confident in the positive effects they have produced in pets. Once you have consulted Sar online about your dog’s health, the high-quality treatments will be made easily accessible to you for the health care needs of your pet. The recommended treatments can be ordered over the phone, internet or by mail and delivered straight to your door. *Please note: Powders, capsules, tablets and liquid herbal medicines can only be delivered within Australia. The cost of the treatments are not included in the consultation. It is our belief that only practitioners that have studied both naturopathic and herbal medicine as well as the animal sciences (including animal anatomy and physiology) should prescribe herbal medicines & nutrient therapies to dogs and other animals. This provides practitioners with the knowledge required regarding possible interactions and contra-indications. It also allows the practitioner to understand which herbal medicines, nutrients, diets and homoeopathic medicines are the safest and most effective for individual conditions in pets. The range of medicines we prescribe are from companies that spend millions of dollars each year on scientific research to develop some of the safest, most effective naturopathic medicines and supplements on the market. A Naturopathic Practitioner, Research Scientist & Zoologist Reveals the REAL Reasons Why Your Pet Keeps Getting ill or is Never Fully Restored to Health and How to Heal Your Dog Once and For All for a Long and Happy Life. To: Devoted dog owners who want their pets poor health to improve once and for all instead of just treating their symptoms. From: Sar Rooney BHSc., ND., DC., DASc., GDSc. (Hons) Zoology. Subject: A unique new eBook that provides real solutions to your dogs current health problems and helps you to treat them rapidly and effectively. This book also explains the best way to prevent future diseases such as cancer, allergies, skin disorders, arthritis & a large number of other diseases. And many other chronic canine health problems that can be easily resolved at home! STOP Just Treating Your Dog’s Symptoms – Rapidly & Effectively Treat The Causes To Their Conditions And Help Them To Live A Longer, Healthier, Happier Life! Disclaimer: The information provided to you during or from an online consultation is not intended to replace veterinary advice. Sar Rooney does not accept liability of any kind for any losses or damages caused or alleged to be caused directly or indirectly from using the information provided during or from an online consultation. For health problems in animals, veterinary advice should be sought. Naturopathic medicines and supplements can be prescribed by animal naturopaths when approved by veterinarians.